Flash update: 46 backers already received the kit! We have now all controller versions working properly. We started shipping the kits. We shipped 46 kits, shipping firstly to the backers which live close to us. 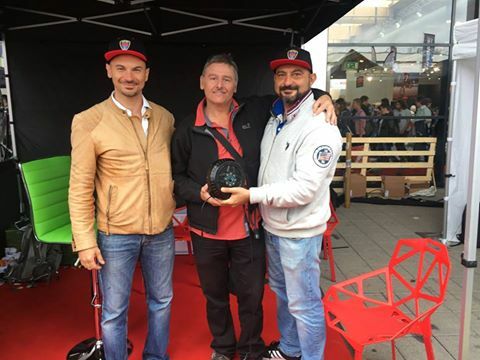 We preferred doing so because in case of problems we could easily fix them and avoid the problems to occur on other backers which live abroad. 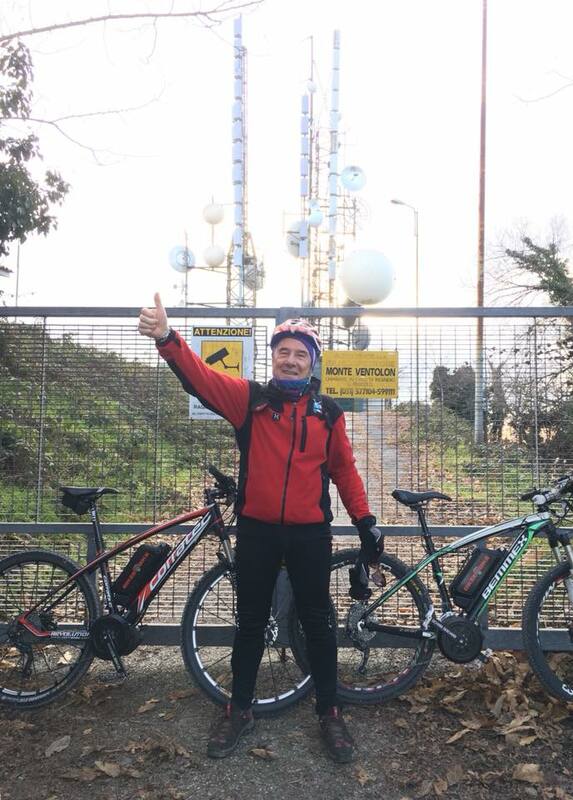 We are posting some pictures of the backers with their kit on our Facebook page ( https://www.facebook.com/bikeebikefan/ ). 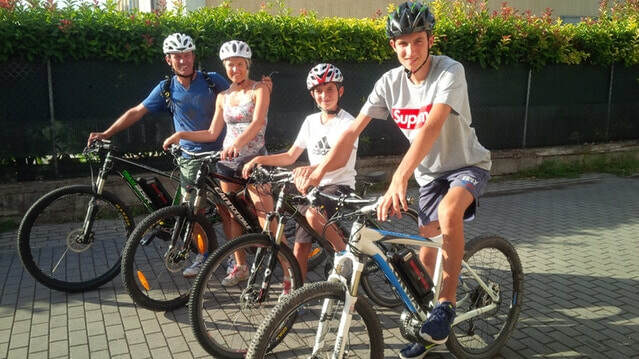 A backer converted all his family's bikes. 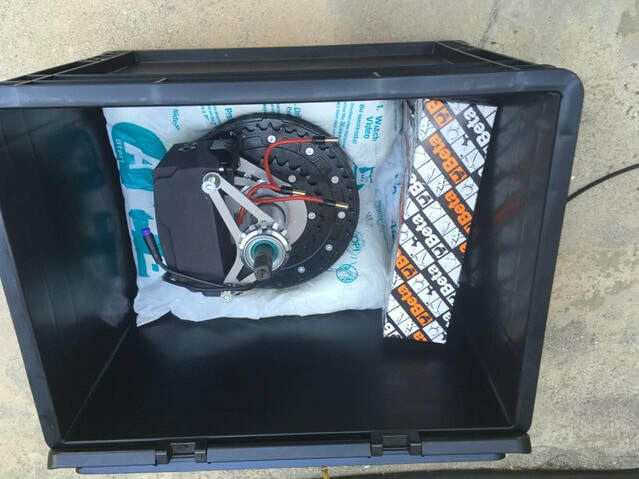 We shipped a only-motor pledge to California to test that packaging was OK for long distances. That worked perfectly. We got problems on 6 units, 2 were firmware bugs ( so we had to modify the firmware and upload it again. On two bikes we tested a new way to resin-pot the controller, but that wasn't a good way: the resin was too stiff and with the thermal cycle didn't behave well. We had to replace those controllers. On other two kits there was a loose bearing on the housing, making a strange noise. We are now making sure those problems won't show up again on the other motors. We now have 62 motors ready and we're waiting to get a controller and to be shipped. Production will start again on August, the 28th . 200 controllers are in progress and will be delivered within the end of the month. 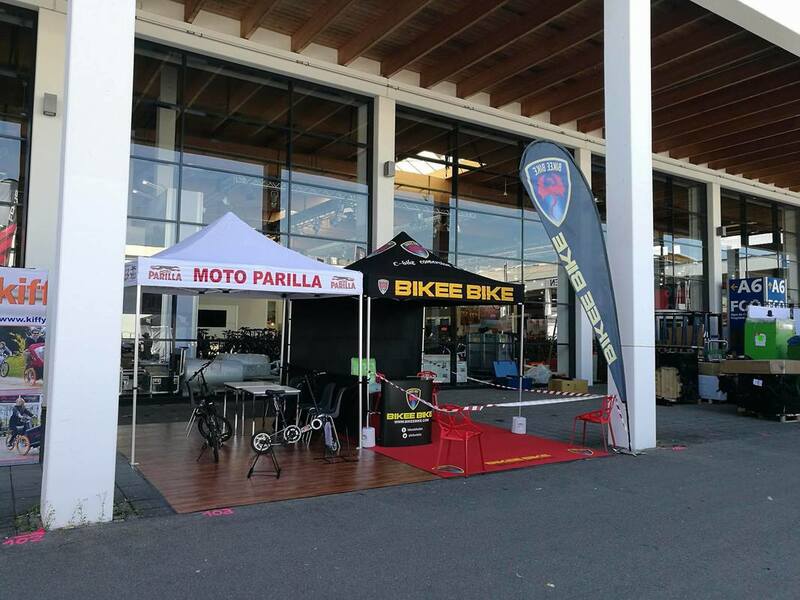 We made a test day in Italy, last weekend, pictures are on our Facebook page. And we made some video of the BEST 749W climbing steep hills. Hope you'll enjoy that. First of all, apologies for having been quiet for approx 30 days. We were constantly fighting to overcome the new challenges that production brought. While we already surpassed almost all of them, we have one more to fight with. Good news is that we are at a good point and that production already started. I hope you'll enjoy the giant step forward we made, while we're making the final, last one to bring you what we thing is an excellent product. 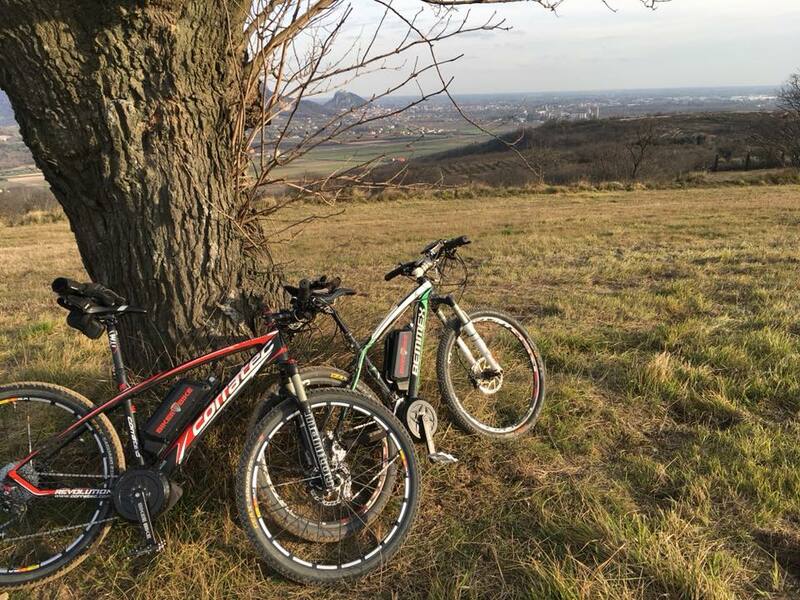 And we got the confirmation from our testers which have now made 1000+ km on mountain trails with our system. 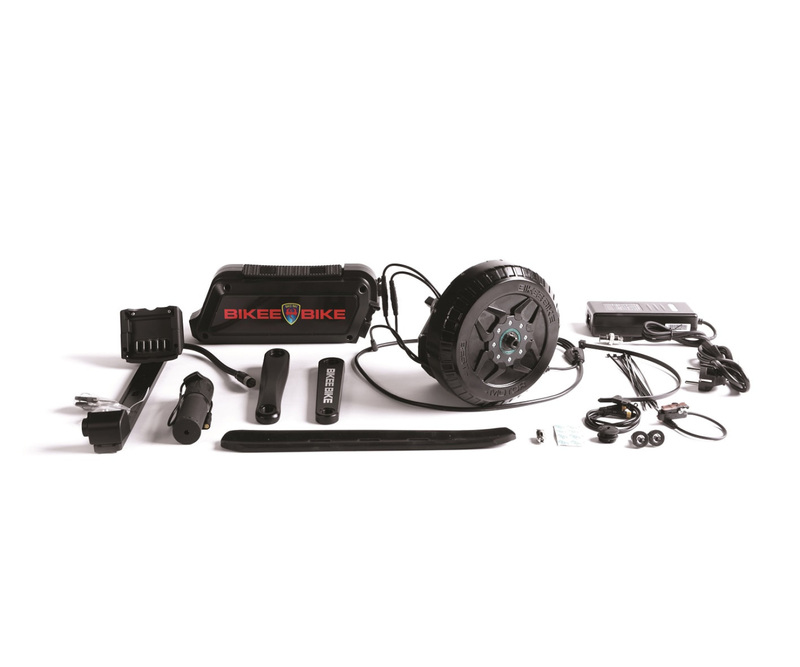 We are so excited to present the App Bikee Bike for the Mid-drive motor setting. In the last update, we presented it with a short video: now you have the chance to become familiar with the system downloading the App from Google Play Store on your Android smartphone. The App allows you to interact with the motor and check other parameters like residual battery charge, consumptions and torque value. 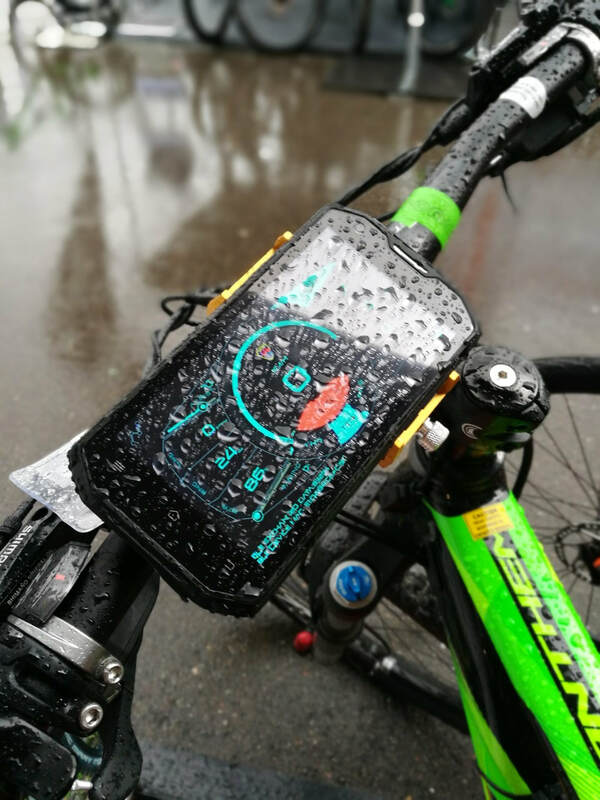 The full name of the App is "BEST ebike kit Control Pad" and you can get it here. The iOS version is currently under final testing and debug. The developers said it's a matter of days and that will be available as well. 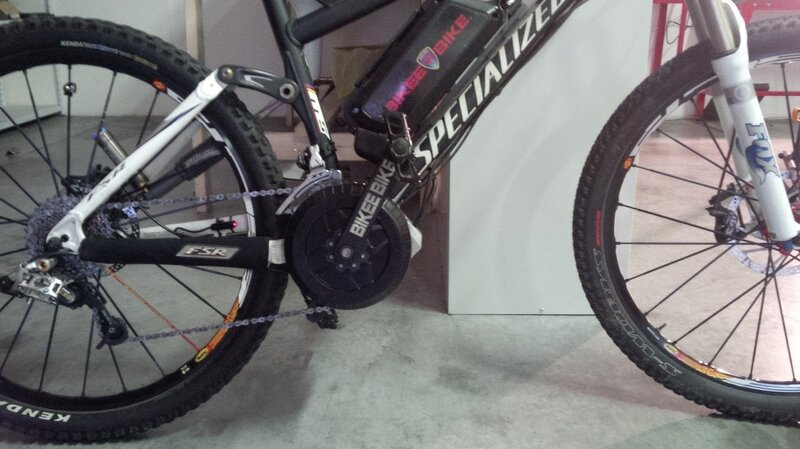 We approved the winding’s final configuration for the BEST 250W and now 50 windings of this type are ready. We are still waiting for the winding of the 749W and 500W versions that will arrive the next week (50 for the 749W and 50 for the 500W). That has been a big pain, and finally that's behind us. We made it, tested it and approved it. Last time we presented the brand new tooling for the controller box. The new mould allowed us to improve the IP grade that is now confirmed as IP67. The next week we are going to do the final immersion test in order to ultimately prove their effectiveness. 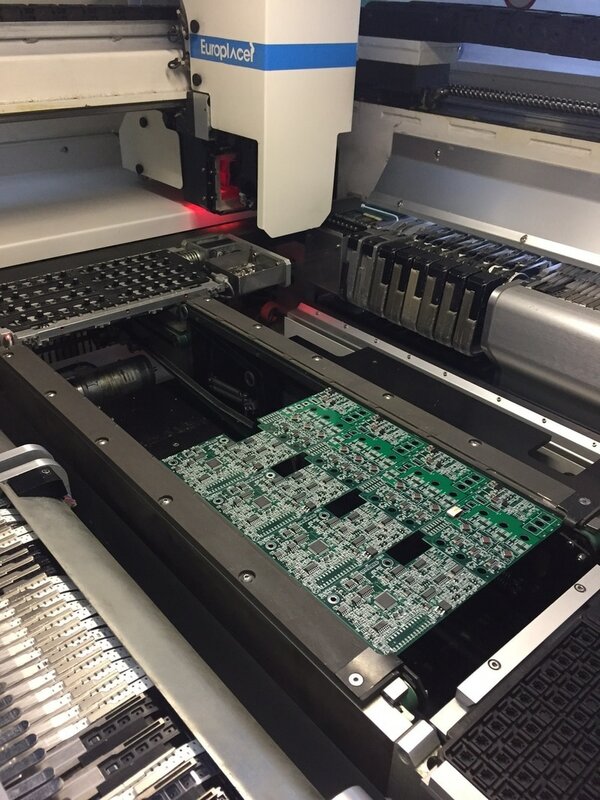 The electronic circuit boards samples have been fully potted so that no moisture can harm the electronics. The design of the controller box that you can see in the photos below is the final one. 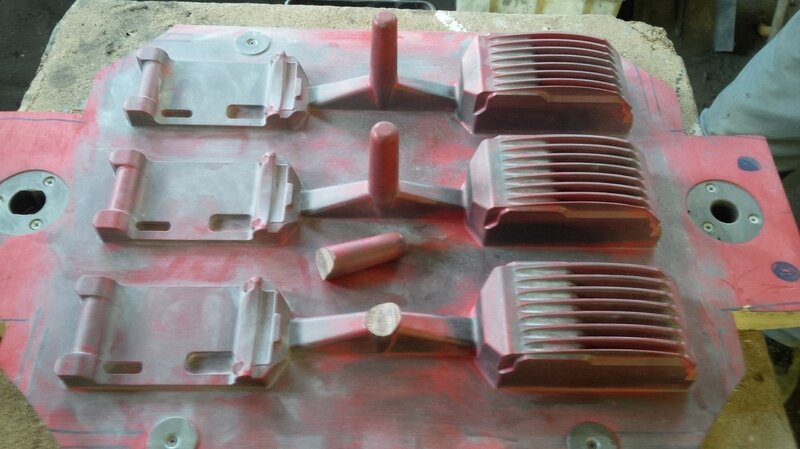 The anodizing of the rough controller boxes gave them a matte finish that we greatly appreciated. And here comes the bump: while testing the controller pilot producton we realized that the electronics made a strange sound and abnormal current consumption, so we had to ship them back to tune them again. In the last two weeks we jointly made testing with the supplier and we finalized the 250W configuration. In this moment we are testing the 500W, 749W and 1000W version to make sure the perfomance will be good. We'll receive the first 40pcs of the 250W controller next week so we'll be able to ship those. These two big pallets contain your batteries. 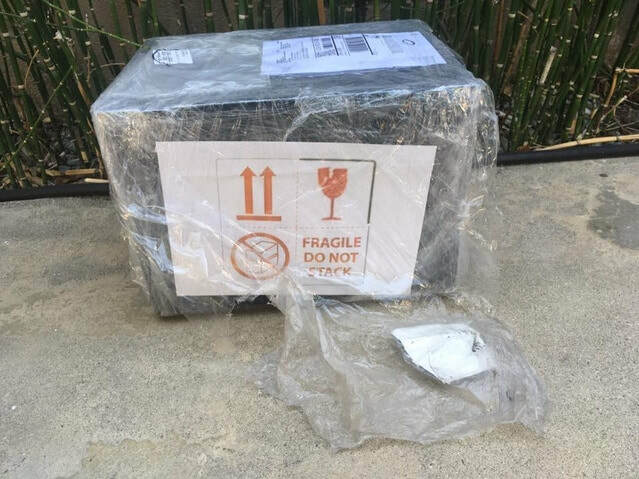 They arrived here by ship from the manufacturer with a special shipping, according to the new (and super strict) laws for the Li-ion Batteries. 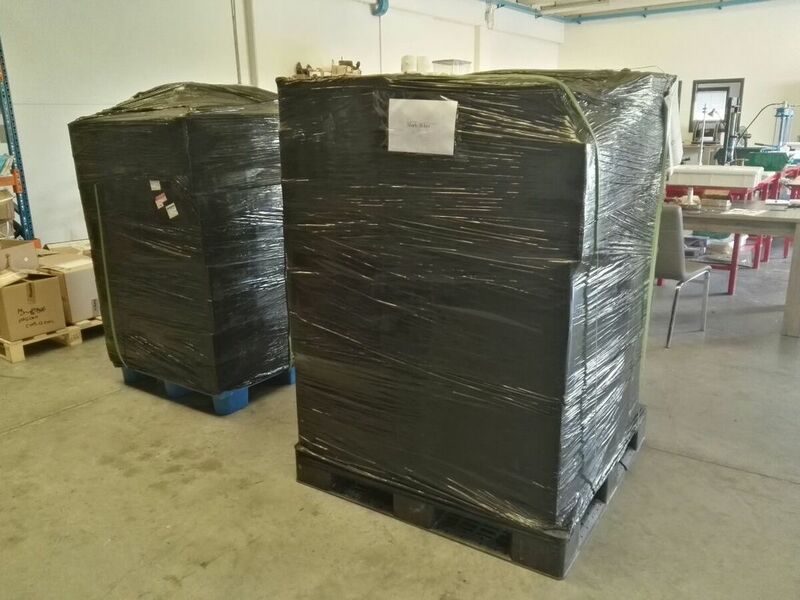 We received in-house batteries for European customers. 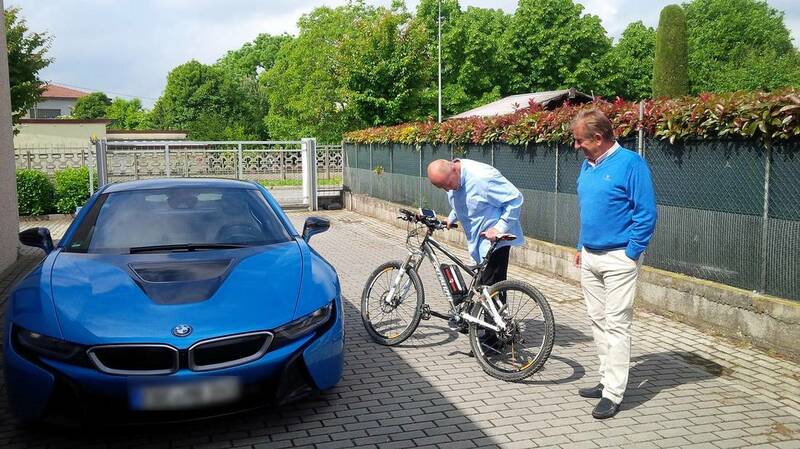 We'll send those along with the motors, while extra EU bikeers should already have those. Also the shipping boxes arrived here today. We hired new collaborators for production, so the team now is bigger, and new ones will join us next week to keep up with the schedule. 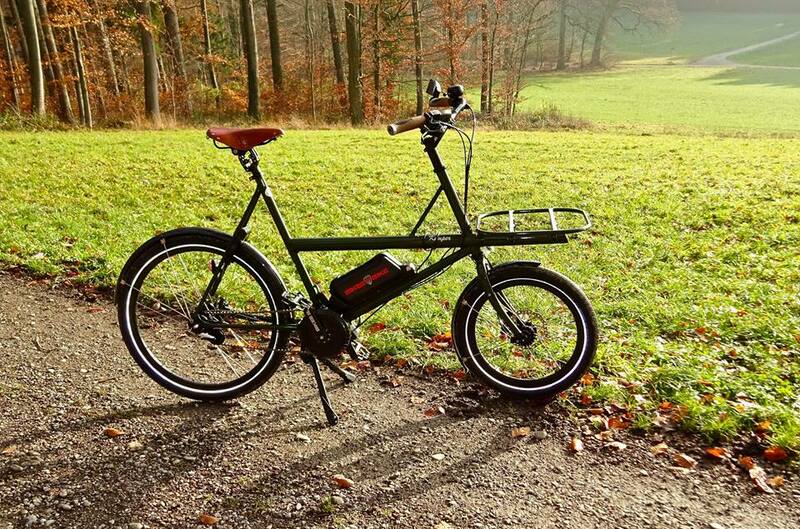 Our target now is to deliver all the Kickstarter backer motors within July. 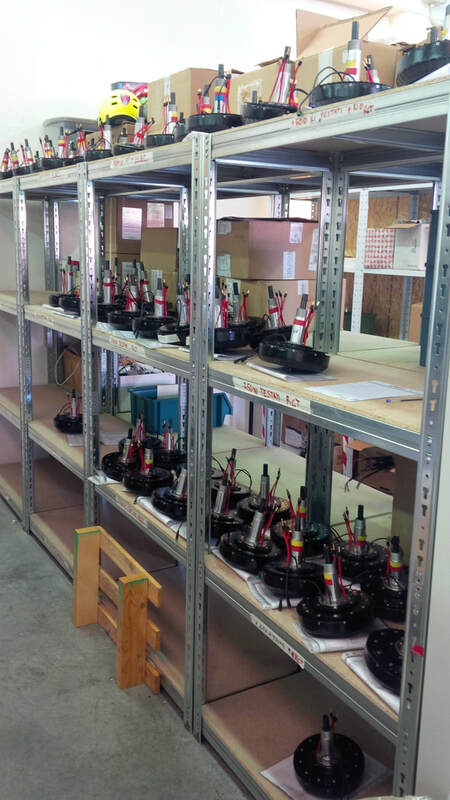 Everyday we keep on working on motors and every single part of them is meticulously assembled and stored. We also decided to purchase new equipments to bring production to a higher level of efficiency. Right now we are waiting for the controllers to be tuned so we proceeded to go ahed with all the sub-assemblies so to make the final motor assemblying process shorter. First motor is now shipped! The first kit is finally shipped. It's for a hero who bought it before the Kickstarter campaign, on our website. 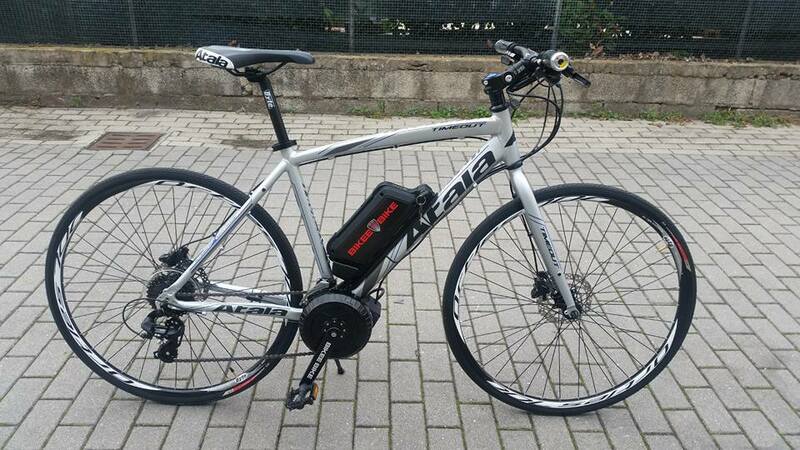 This week we'll proceed shipping the Kickstarter motor, firstly the 250W version. The last four weeks have been incredibly intense for all our team. We know you deserve your system to fully enjoy the summertime and we're fighting each day to make it happen. 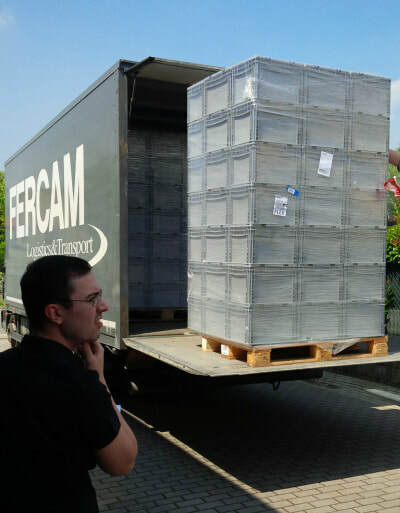 Problems and bumps are around each and every corner, but, with your amazing support, we made it: we started shipping. That means we overcame all the challenges that we faced. We're exhausted but, at the same time, very satisfied for bringing an awesome product to light. And without you that wouldn't have been possible: again, you should be extremely proud of that. 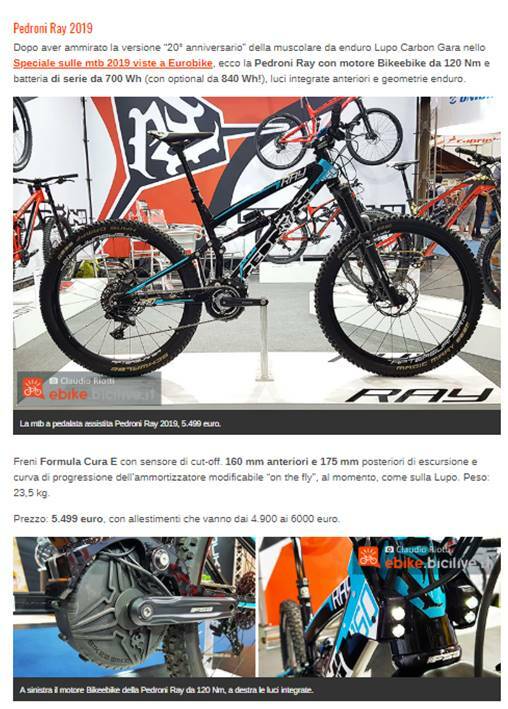 I'd like to Thank You and all Bikee Bike's team: Luca, Davide, Irene, Fabio, Mattia, Sabrina. I see you working around the clock with all your heart and passion, and I'm sure our product reflects that. 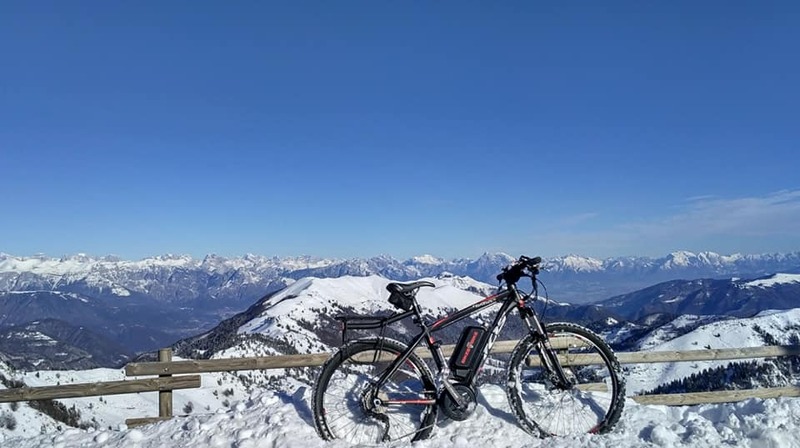 Summer is coming and we feel you, you can't wait to have your BEST ebike kit to dominate the mountains, hills and cities all around the world. We know we let you wait more than expected: being the smallest fish in the pond brings its disadvantages. But, as Darwin said, it's not the biggest, not the stronger but those who will evolve quicker who will thrive. We're keeping evolving in the meanwhile, very fast. We are living these very last days before the production in a very hectic way: each days there's something new we'd like to share with you, and that's a part of the reason why it took so long to publish this update. We wanted to cover as much as possible and wait for the following milestone to disclose that with you. There was always a good reason to say: it's better tomorrow because we'll have more exciting news... Well, days passed by and now it's time to share everything with you, that you patiently waited so long, and we thank you once again for that! Our extra UE customers finally received the batteries! 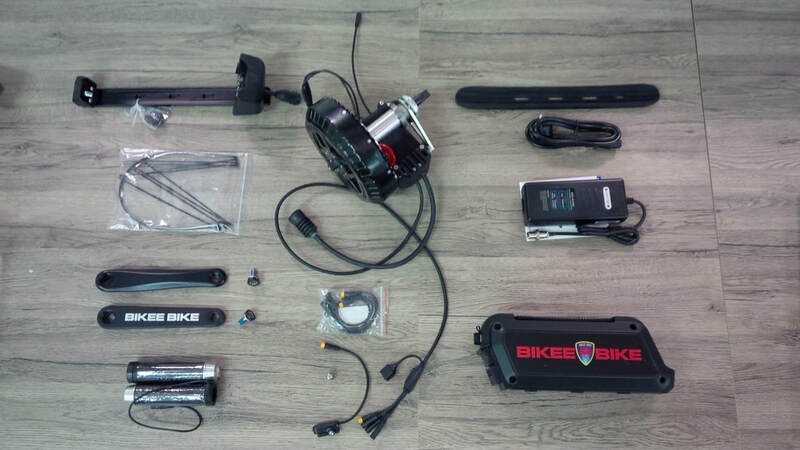 The other parts and the chargers will be shipped together with the motor from our headquarters in Mantua, Italy. 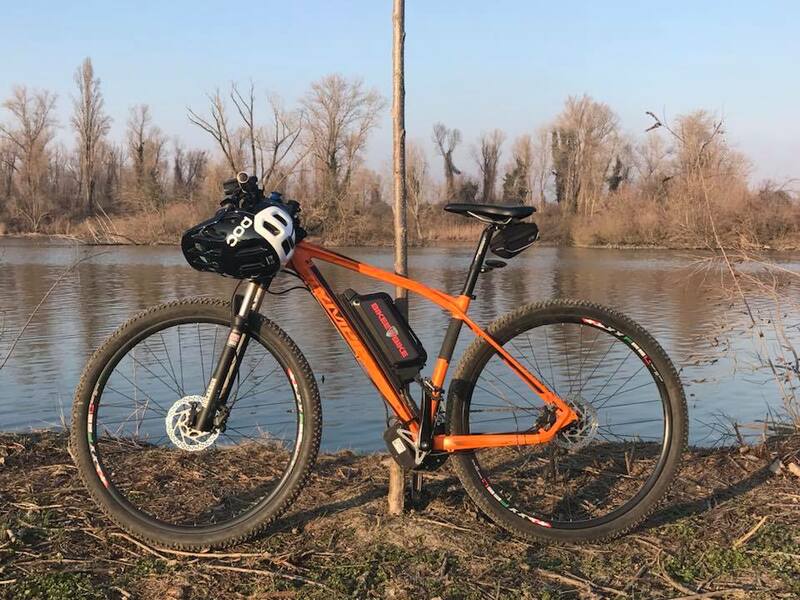 At the moment we are still waiting for the batteries that have to be shipped to our European Bikeers: those will be here next week. If you already received the your battery, you should store them in a dry place, between 15°C and 35°C ( 59°F to 95°F) . The battery charger will come with the kit. We just shipped the Swag Bag to the backers who pledged for that. 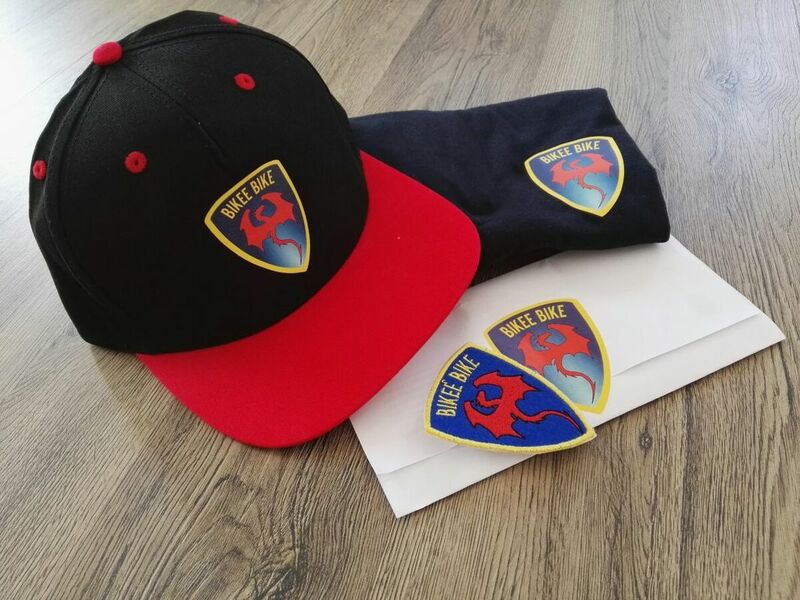 That is what's inside the package: a branded polo shirt, a Cap a high-quality woven patch with our logo. Some of you probably already interacted with Irene either by email or on Facebook messenger. She is the new customer relationship manager. She is an electrical engineer, she's now graduating in marketing and she is fluent in English, German and of course Italian: when we met her we knew we couldn't let her go. She's now supporting me (Matteo) to answer to all your request and to make sure that you'll receive what you pledged. So please bear with me if it happens that you write me an email and she's the one who replies. That allows me to dedicate more time in pushing the things forward and she's greatly helping me in that. She's also the one who will translate the updates in Italian. Fresh images directly from the foundry. We had to modify the tooling to improve the IP grade and to correct some minor defects. As you can see from the picture below now we have just one opening instead of two. That is because we had the signal cables going to the box through rubber seals. 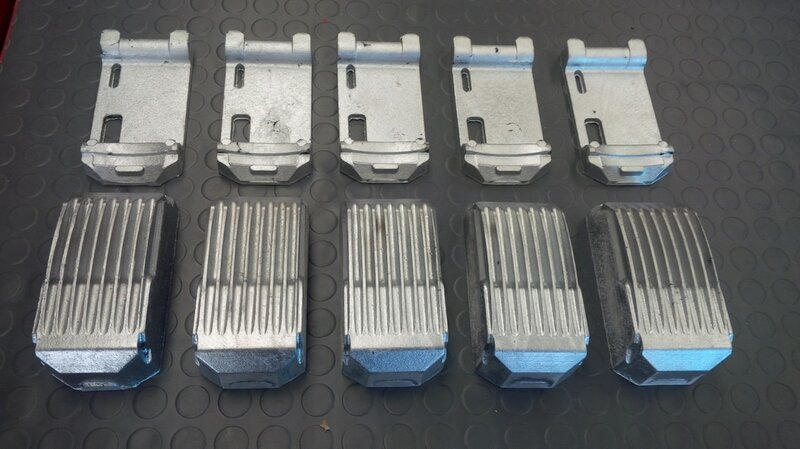 The raw casting in the below picture are now machined and next Monday we'll ship those to our controller supplier, who will mount the electronics, fully pot them and send them here for the final assembly. We put our fully potted electronics on our endurance test ( see next paragraphs) and successfully covered thousands miles. 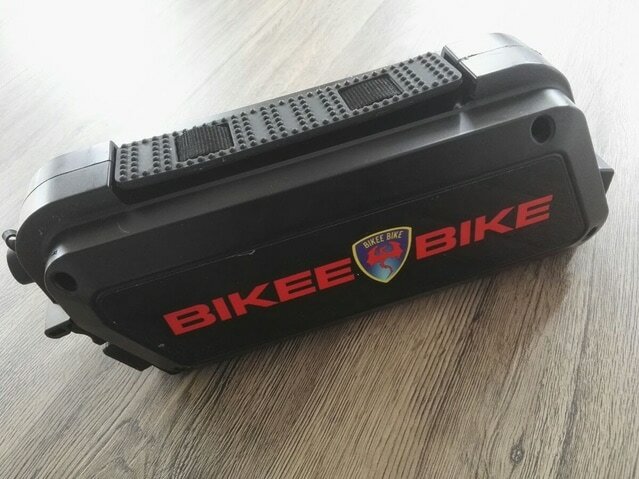 ​First batch of BEST ebike controllers is ready. The controllers are ready to be assembled with the boxes. You 'll see some pictures of the pick and place machine during the production process. This is the component which required the most time to develop and brought us behind the schedule. In fact the controller box design was planned after the completion of the controller development. 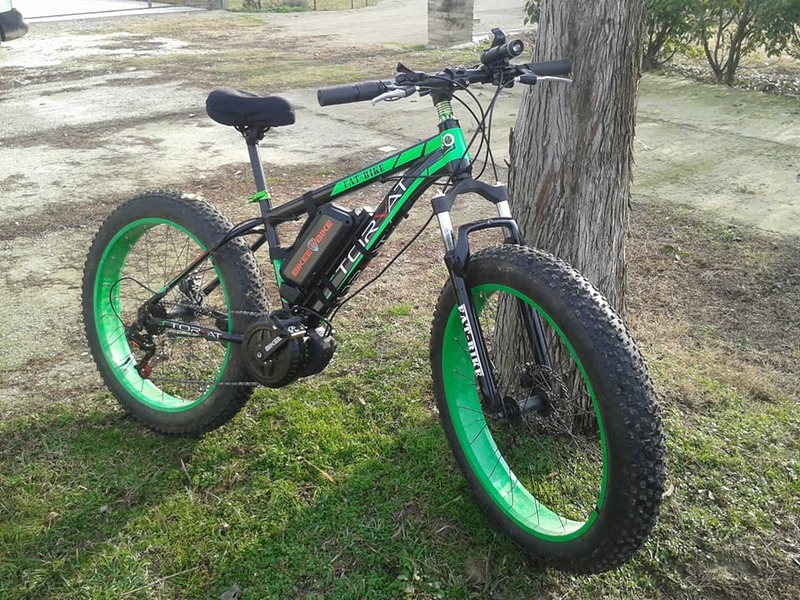 The challenge here was to build an extremely compact electronics which could handle 100+ amp ( as phase current) , make it programmable by any smartphone and compliant with ebike's laws all around the world. The electronics consists in three pieces: one part is handling the high current ( PWM modulation) of the motor phases, one part is adjusting the power exertion accordingly to your inputs, and the third one - aka the Smartbox - is smoothly connecting all the systems ( motor, battery, controller and all the sensors and smartphone) together. So, if for any reason your battery temperature goes too high, or your motor temperature goes above the limit, the Smartbox sense that, command to the controller to reduce the power and sends the information to your smartphone. 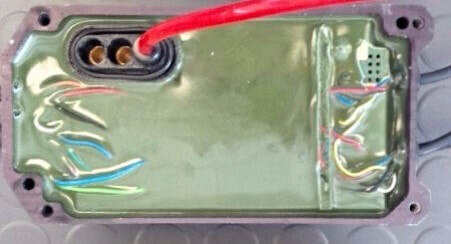 As you can see, the upper face of the Smartbox ( below picture) is full of copper connection pads: those are the ones which gather the signals from all the sensors. A bonus feature is the integrated theft-deterrence function: since there's a PIN number to input at the first run, only those who have the PIN number can interact with your BEST system. 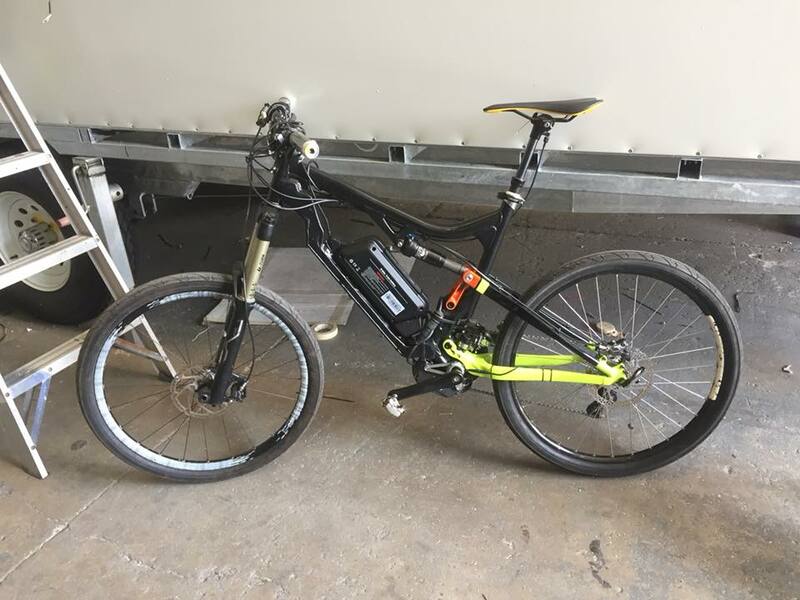 So if you set the assistance level to zero before leaving the bike unattended, is someone steals your bike, they will never be able to use the motor. 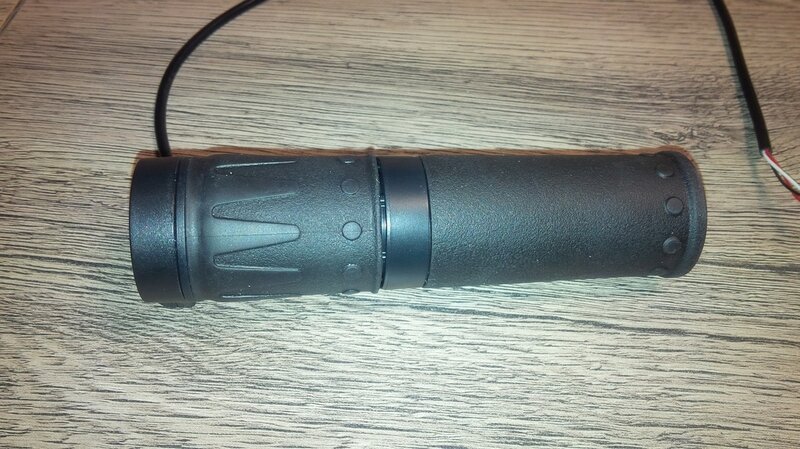 Next week we’ll receive the first 50 windings. 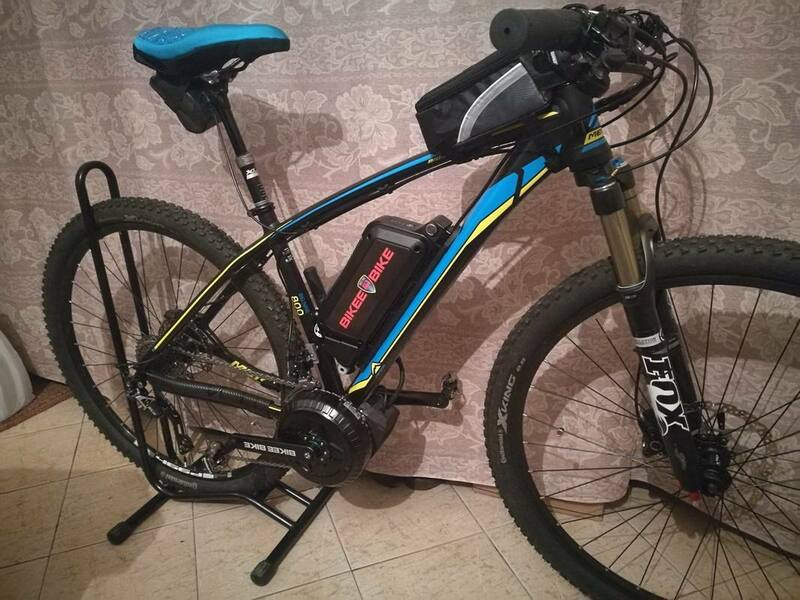 Firstly we'll get the windings of the 250W and 500W power versions because we already approved the final configuration and successfully tested it both on endurance test and real life scenario . After that the 749W and 999W will be coming. 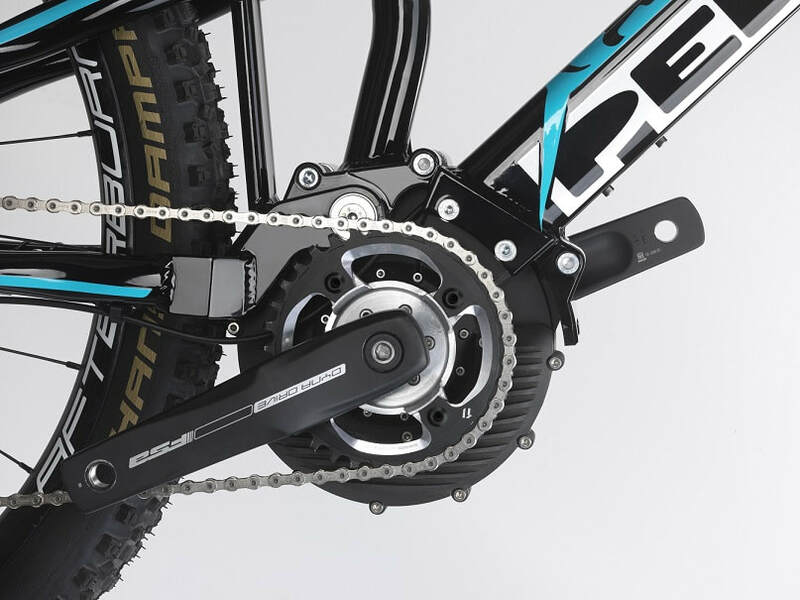 We're making those as second step in light of the outstanding torque we reached in our tests. 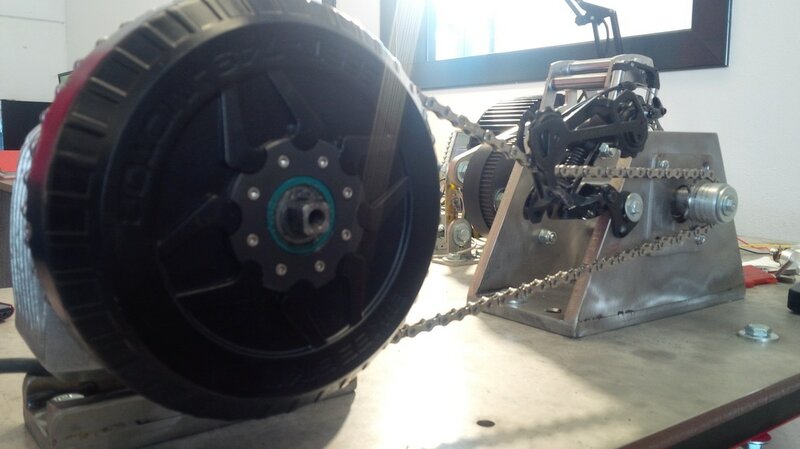 That changed our plans a bit and we know we have more room in looking for the best compromise between torque and speed. We will receive the 749W and 999W ( and thus 1500W as well) winding samples next week. Those we'll likely be the ultimate ones, so that we can proceed with those just one week after the first batch. 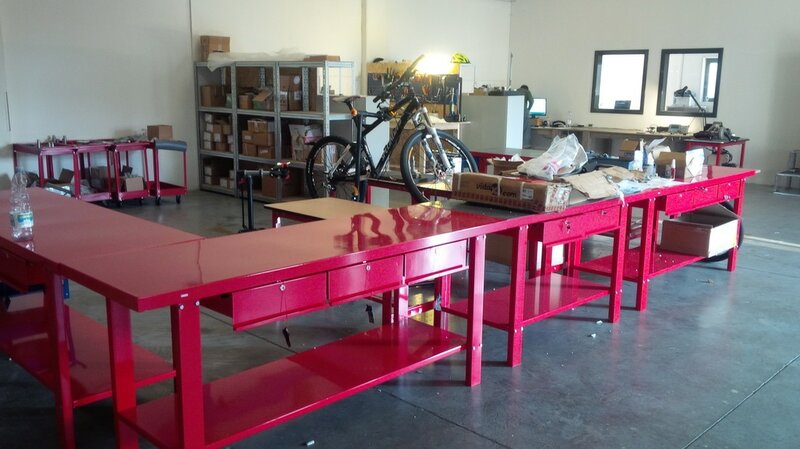 With all the components coming in, the next week we'll finally start assembling and shipping the kits. The target is to ship all the Kickstarter backers motors by the end of June, and possibly start shipping also the following orders between June and July. Our target is to ramp up to a production of 3 motors per hour in the first 10 days. As soon as the production will start and we'll get a steady production pace, we'll be able to publish a delivery schedule based on the ordering period, so that you can exactly track your delivery day. App release coming next week. We're so glad to finally publish our App, so that you can download it. The first version will be android and the following week the iOS should be ready. We'll post the download link in the next update. Some of you asked to have more insights about that: here's a video to let you know better graphics and features. 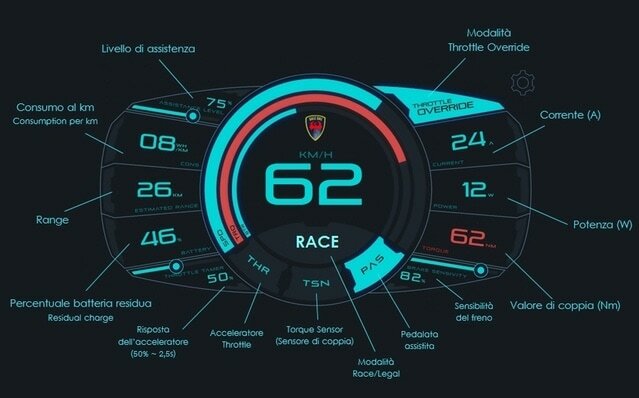 Endurance test keeps going on! You probably remember that we have an endurance test going on. Well, we stacked additional 7.500 km (4700 miles) on top of the previous distance. 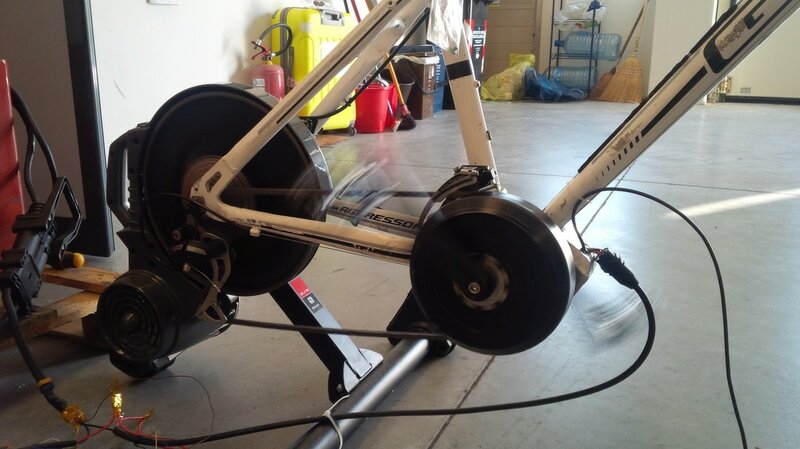 We already burned one bike trainer and the other one is about to go. 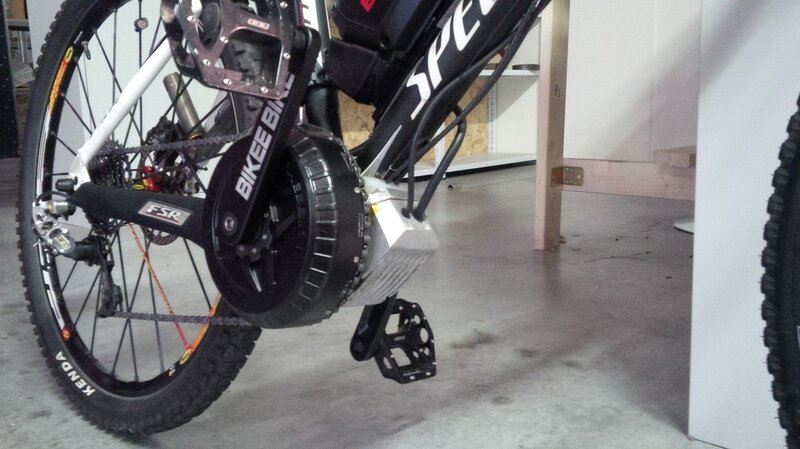 We are now testing the motor at the limit of the higher operating temperature to thermally stress all the components. So the motor is now running continuously at 92° (198 F). 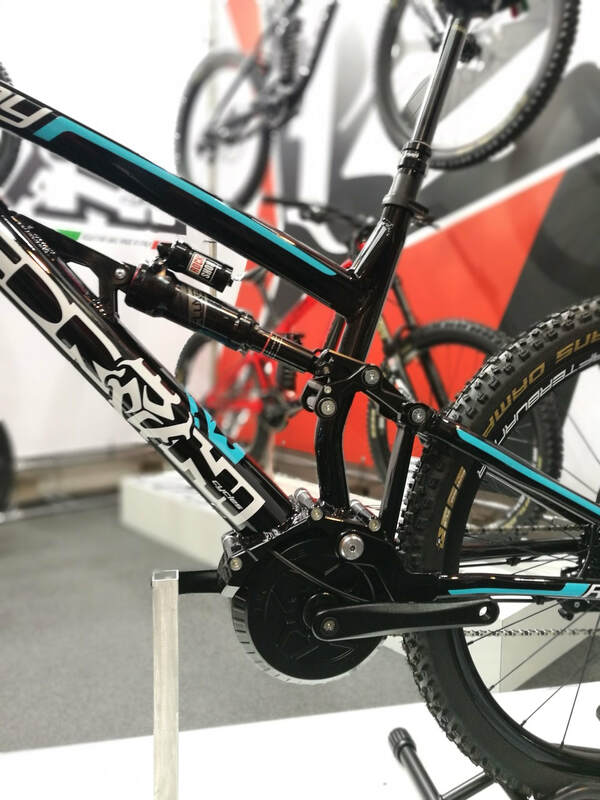 We'll be presenting our system at Eurobike 2017 in Friedrichshafen, Germany. 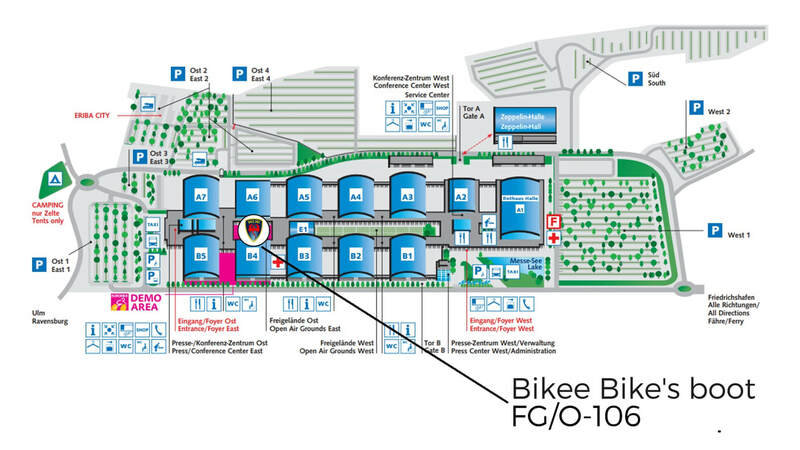 We'll be next to the test area and if you are planning to go there, you're welcome to stop by. 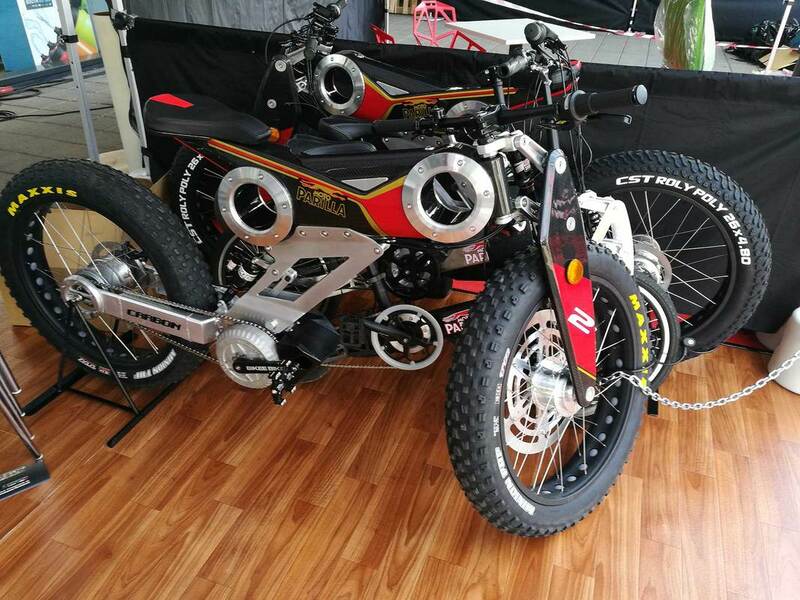 During these last months we've seen many of you coming to our plant and testing the bike. These visits made us grow, we accepted and implemented countless feedbacks and our system got better and better. It makes us feel good to see your smile and the excitment on your faces when your test the system for the first time. That means we're on track and possibly will make the wait worth. That's our main target and you'll soon tell us whether we accomplished that. As anticipated there's a surprise for all Kickstarter backers, an additional present to Thank You once again for being such an amazing community. A 10,000 km journey, keeping on pushing to the finish line. First shipments ( batteries only by now). 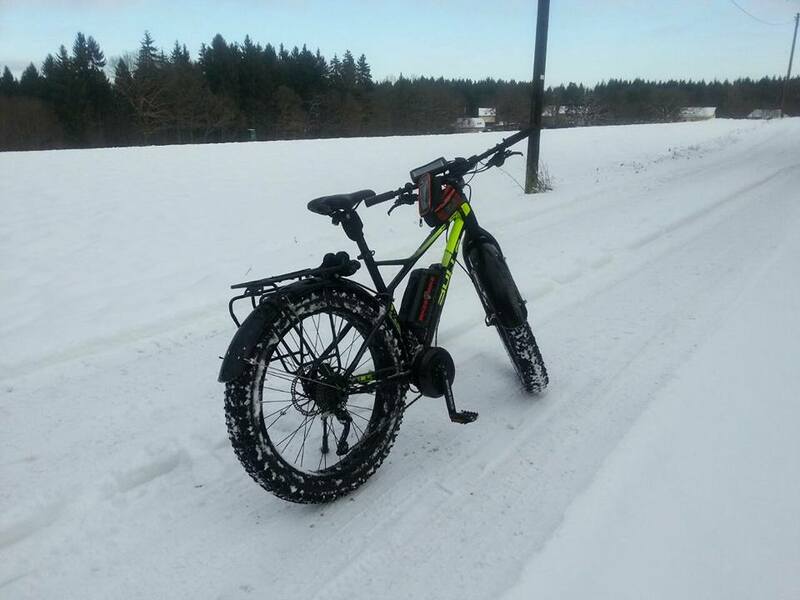 Successfully reached 10'000 km ( 6,250 miles ) in the endurance test! 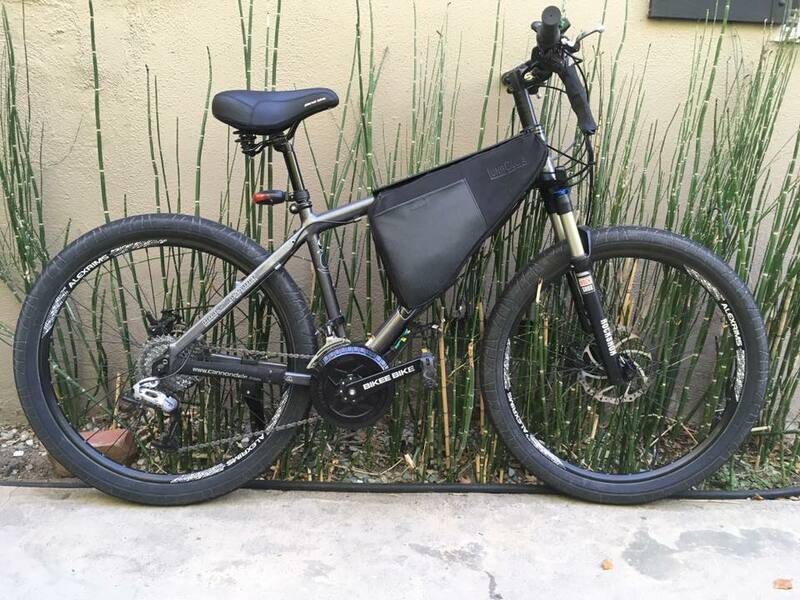 The BEST ebike system performed really well on the endurance. The cycle was 2 minutes ON-1 minute OFF at full power. To give you an idea about the length of this trip, you can take a look at the map: it's like pedalling from Anchorage to Los Angeles and then to New York. Although that's impressive, we expect more. We stopped the testing to perform a ride test on bike tracks. 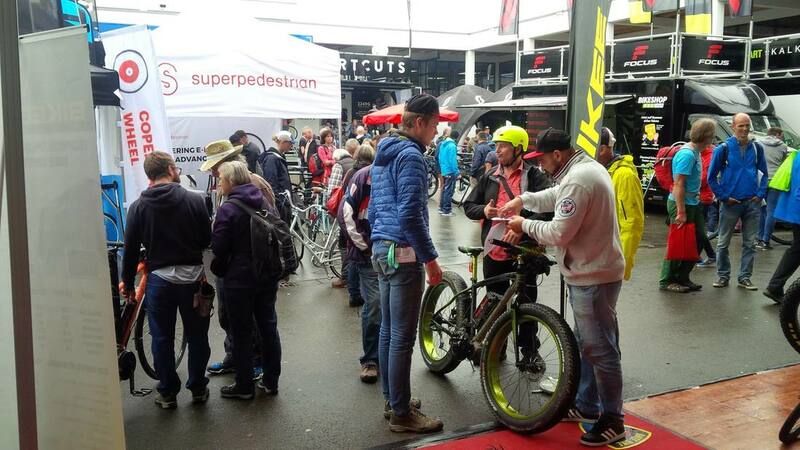 We catch the opportunity to do that while visiting the Riva Bike Festival, held in Riva del Garda at the end of April. That's been a great opportunity because real-case scenario stresses the components in different ways than a lab test and we wanted to know early on whether the final design performed good in real life conditions. 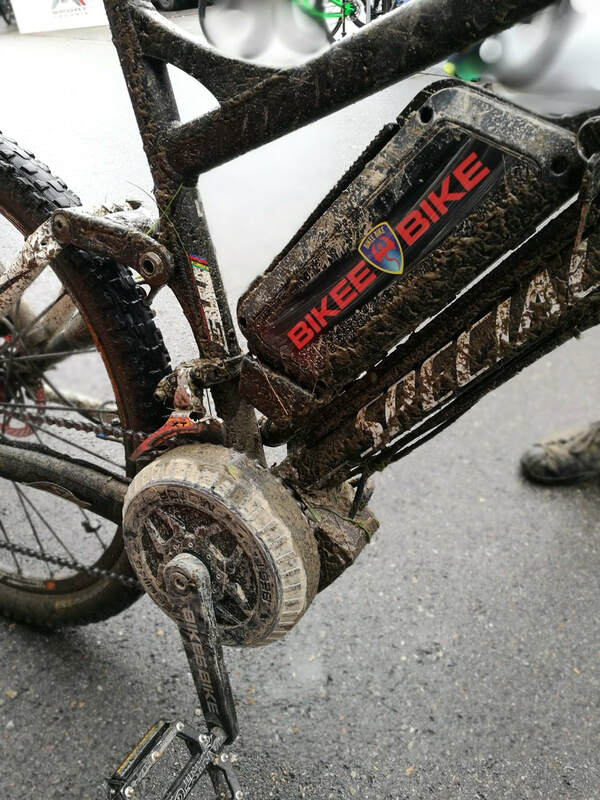 Rocks, mud, jumps are a perfect challenge for an ebike system. 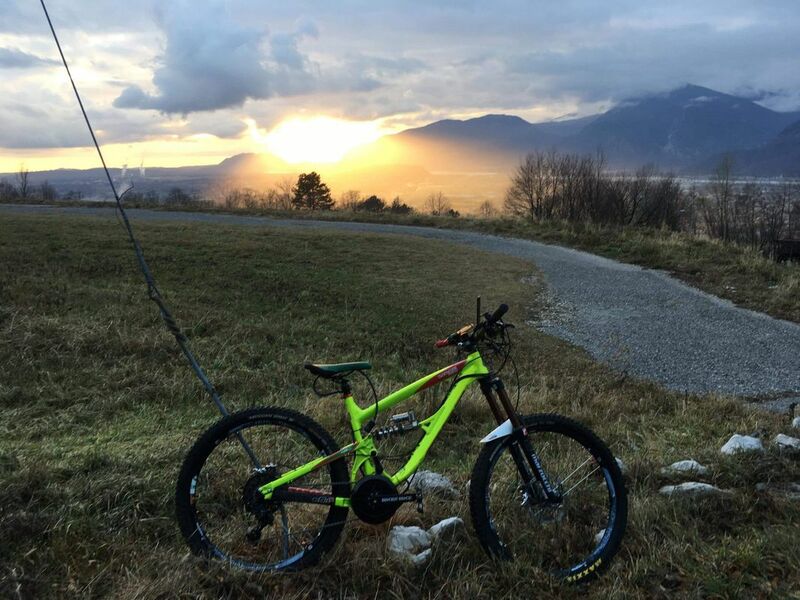 As testing track we picked one of the most breathtaking tracks of our favourite test area, the Ponale trail. 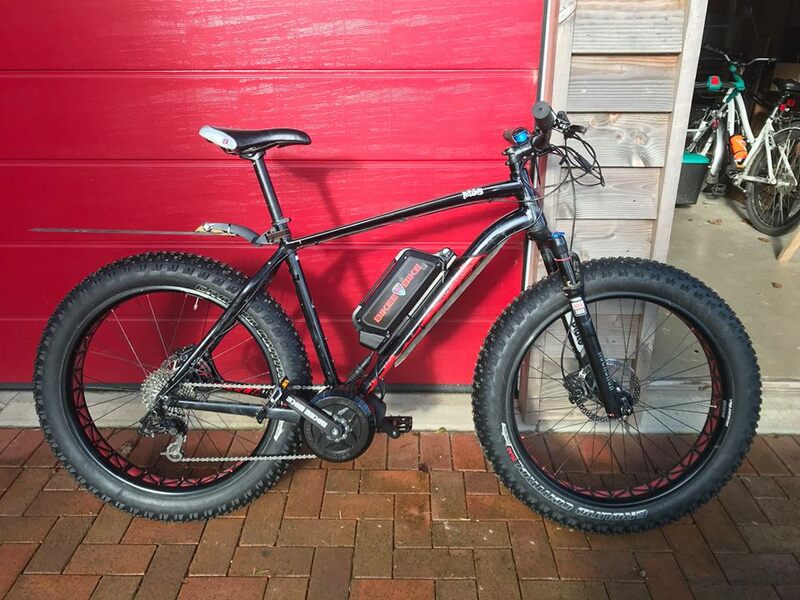 To face the challenge we installed the kit on two full-suspension bikes. 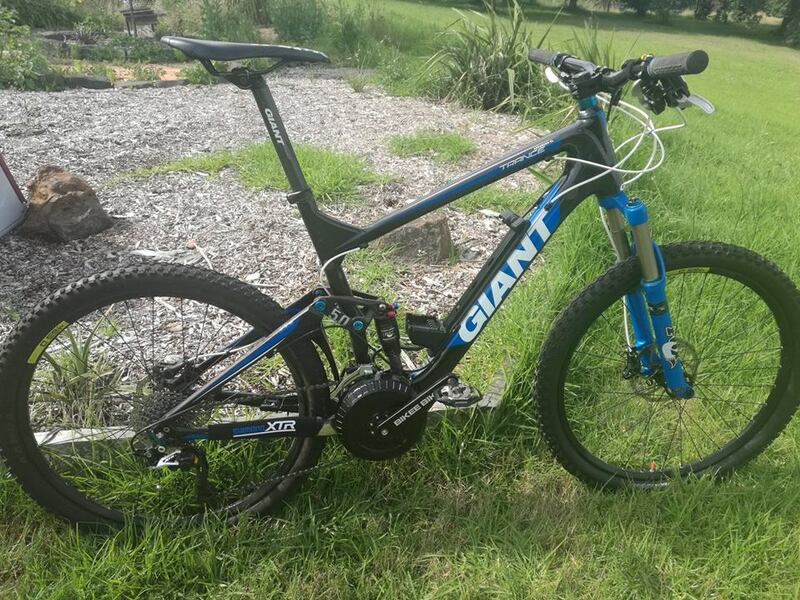 One of them is a Giant Anthem 2. 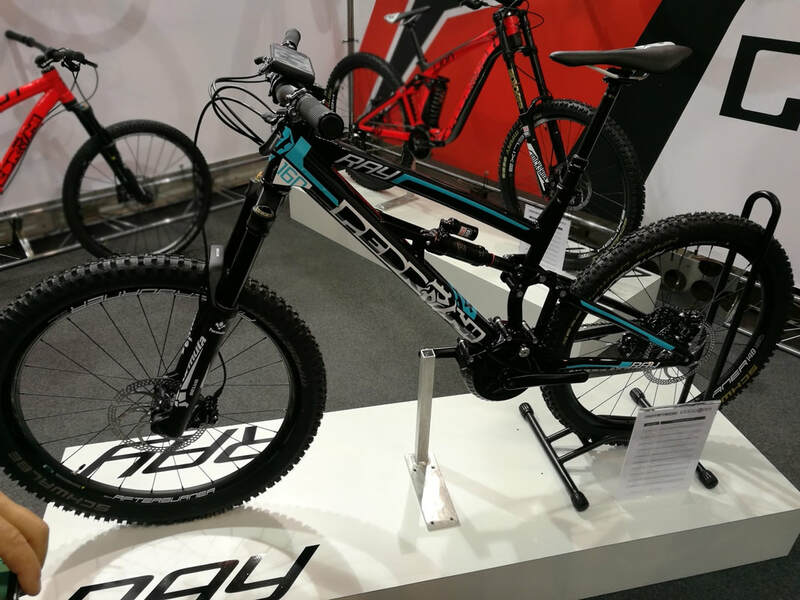 We picked this model because the battery can easily fit into the frame, keeping a good excursion on the rear suspension. Both motors performed very good. They had the new sand casting controller box installed, as show in the next paragraph. We completed the tooling for the controller box. As you can see from the picture an inlet broke so we have to fix that. It's a quick fix which will require approx 7 days. It's a resin mould: we picked that because it's easy and quick to modifiy. 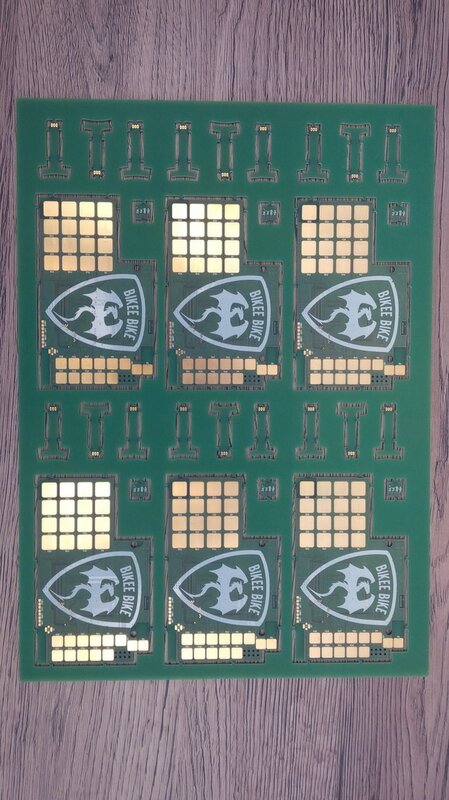 We ran a small pilot production batch with it, for validation purposes, as you can see in the following picture. 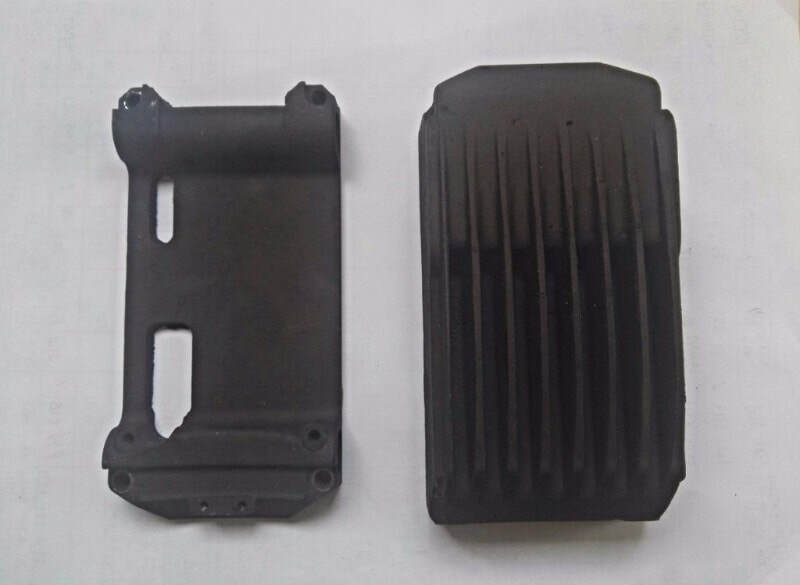 Since we have to re-work the mould for fixing the broken part, we want to catch the opportunity to improve the IP grade. 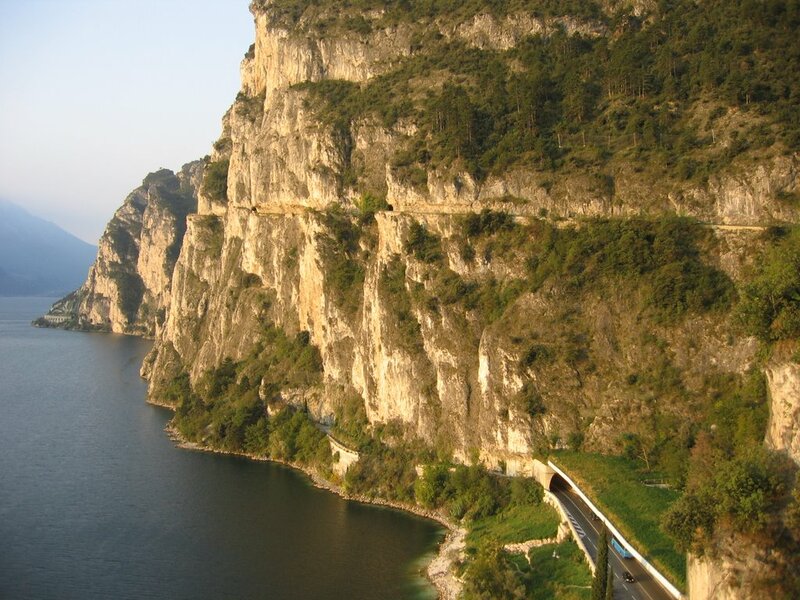 From our testing on Ponale, in fact, that part can be improved. Since it's likely that someone is going to use pressure washer to clean the mud out of that area, we need a very reliable coupling of the wires which come out of the motor and go into the controller box. In fact, even thought the controller will be fully potted, the commercially available connectors are either too bulky, with too low amp rating or with low IP grade to be fitted into that position. For that reason we are designing a custom connector to be hot melted onto commercial contacts. In terms of strength we are very satisfied. We tested the strength under a press by applying 3 metric tons ( 3000 kg or 6,600 lbs ) and just a fin slightly bent. We made a video of that as well. 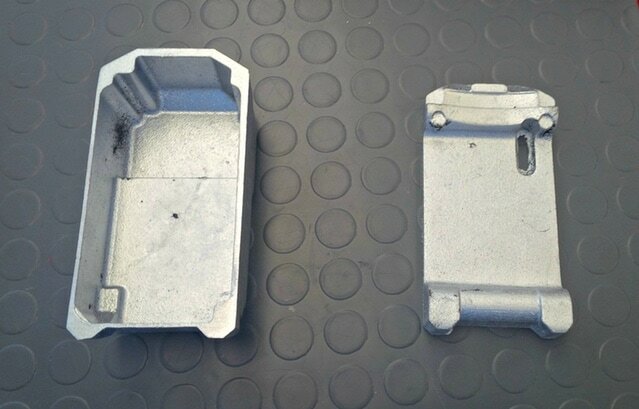 The controller box is rough because it's not machined and we used a scrap part for the potentially destructive test. About the final look: the sand casting mould improved a lot the finishing of the surface comparing to the initial samples. 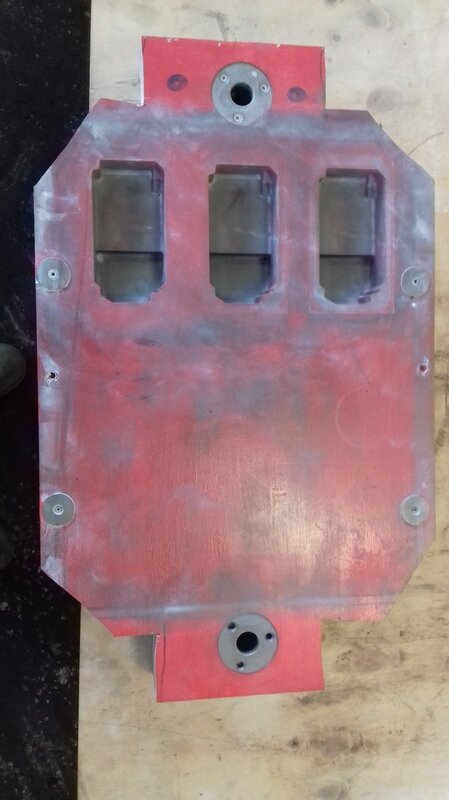 By adding an extra sandblasting to the casting and paint we'll see a very pleasant final effect, so we'll keep this solution for the production. Battery shipmentBatteries are ready and we'll start shipping them next week. We are shipping them separately because Li-Ion batteries need to shipped as standalone item. 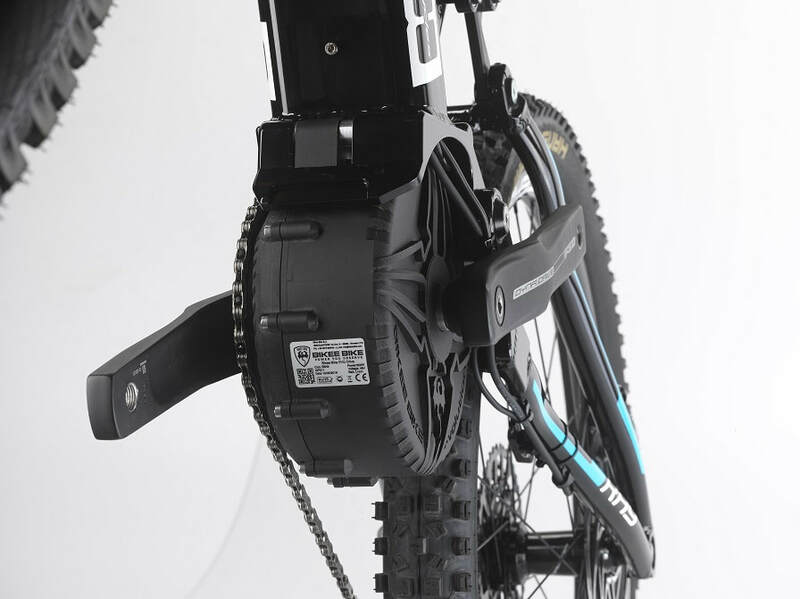 You'll receive chargers and brackets along with the motors. Our collaborator Irene contacted those of you who didn't provide a phone number. That's fundamental to receive the goods from the forwarder. For that purpose, please make sure you don't have Irene emails in your spam box, otherwise we cannot ship your products. As for the motors, we keep aiming to end of May for the first shipments, but that's tough. June is more likely. For sure we want to ship your BEST systems to let you enjoy the summer and we are fully committed to that. The next newsletter should come in approx 10 days with the right timing for the IP67 box modification and we'll give you a more precise shipping date for the motors as well. Some of you decided to visit us in our factory to bring support and encourage us to keep working hard to make it real. Some offered good insight on how to improve further the product: the IP suggestion came from one of you. 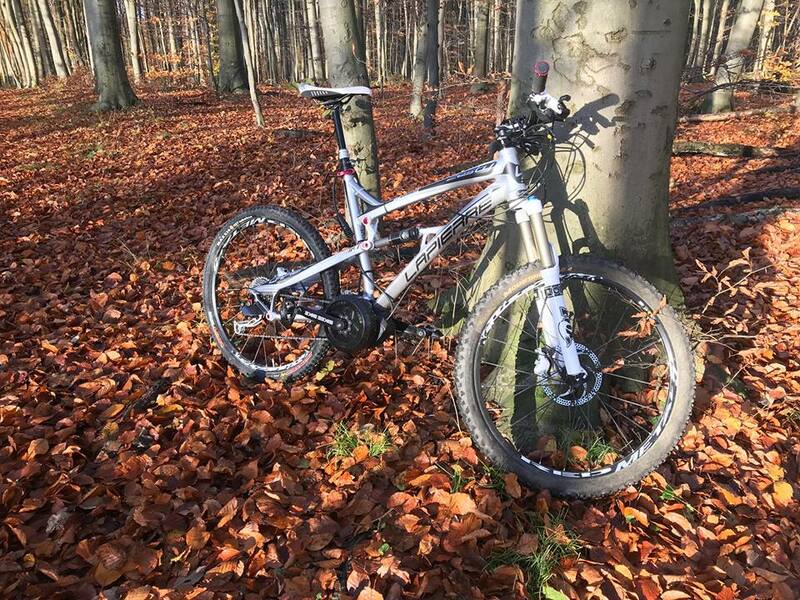 Others offered their bikes to test next generations of our motors. What we saw is that all of the people who visited us were amazing people, and we're glad of such a supportive community. Some have very fancy cars. Thank you. in the last update we finished designing the motor mounting bracket and we needed to make some prototypes for testing and validation. That's exactly what we did, but it took us a second attempt to get it right. In order to get some fast and accurate prototypes ( in terms of material and fabrication process) we went for the sand casting. We created prototypes with our 3D printer ( the first ones on the left in the picture below), made the surfaces smooth with metal filler and used those as models for the sand casting. In the middle of the picture you can see the sand casted parts. As you can see we put those on some stressful test and the mounting bracket didn't survive. That brought us behind the original schedule, since we had to re-designed the mounting bracket in stainless steel (AISI 304) so to be coupled with the controller box cover ( see in the below picture, on the right the mounting bracket + controller cover assembly). 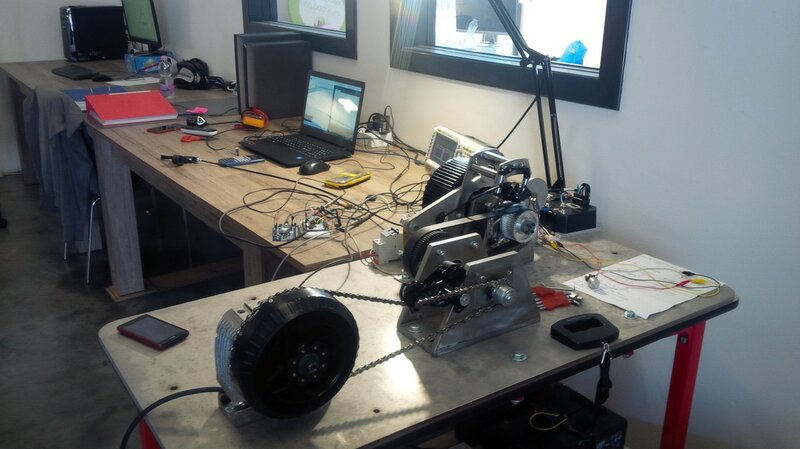 That proved to be reliable and strong in our first test even though the whole process delayed us of one month. We made a short video of the making of the prototypes for those who like molten aluminum. Apologies for the audio, but we were not exactly in a studio. We'll have to go through the testing phase ( approx 10 days) before validating this solution. 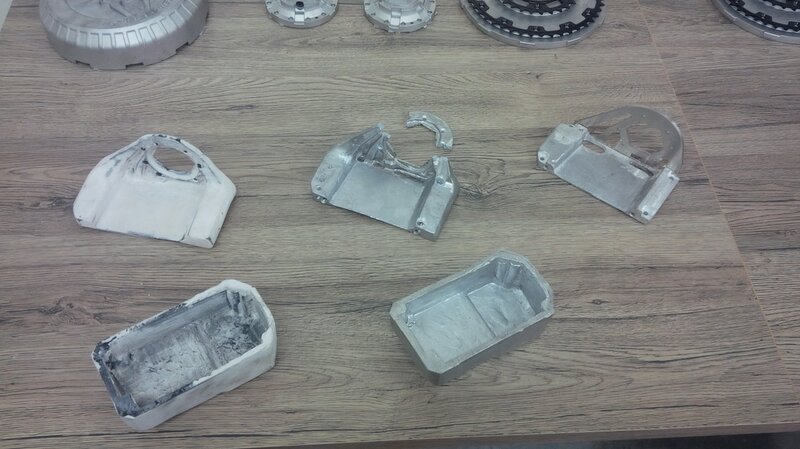 The sand casting prototypes had very rough surfaces and isn't good enough for us. We will probably make a second attemp with the new design to see if we can reach an acceptable level look and feel. We'll make this second attempt just because it can cut the lead time of the kits of approx 20 days. So here's the new estimated lead time for your kits if plan B doesn't work. By March the 10th, if the test goes well on the new bracket design, we'll kick off the two castings. The casting lead time is approx 30 days, let's keep 40 because there's always something that comes up. That brings us to the end of April/ beginning of May. We really hope plan B will work, we will post the pictures of the second attempt for you to validate and we'll ask you what's your feedback. In either case, in the meanwhile we'll perform the 1000-hour test for 3 systems on our test bench of the final configuration with the sand casted parts. We want to get this test passed before shipping the product. That will take 14 days if we run the motors 24/7 and if everything goes smooth. More details about than in the next updates. More time means more refinement. 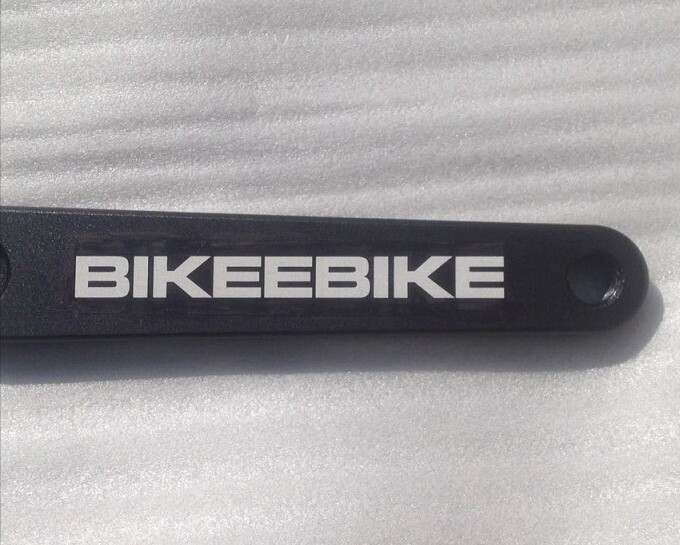 While re-designing the mounting bracket we kept in account of the compatibility with carbon frames. 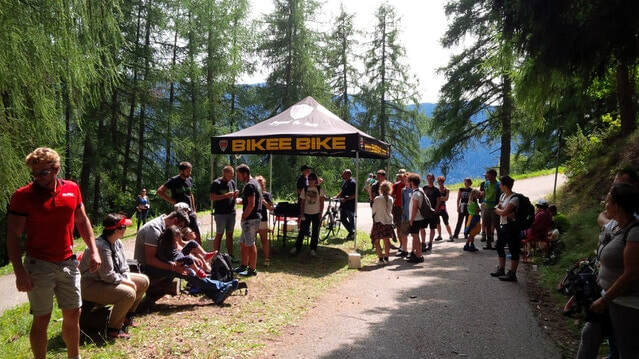 Some of you visited our factory, bringing their bikes with carbon frames demanding for the compatibility. 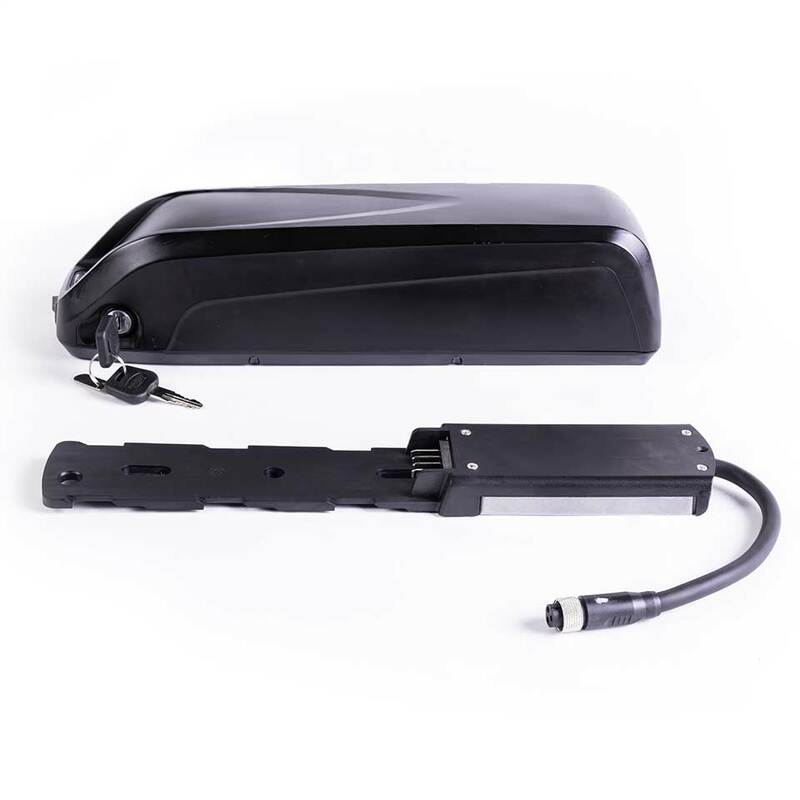 We exploited the re-design need to increase the contact area between the mounting bracket and the frame so to better distribute the load on the frame. 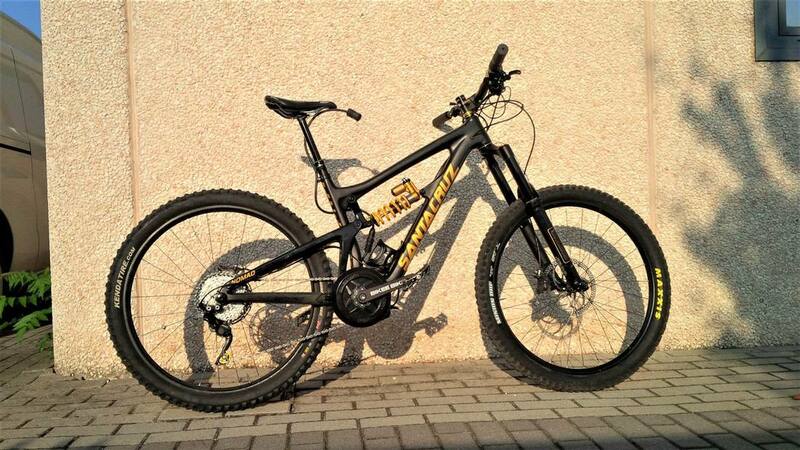 To make it clear: we still cannot guarantee full compatibility with any carbon bike frame, but that's a step forward. In the next update we'll give you more details about that. 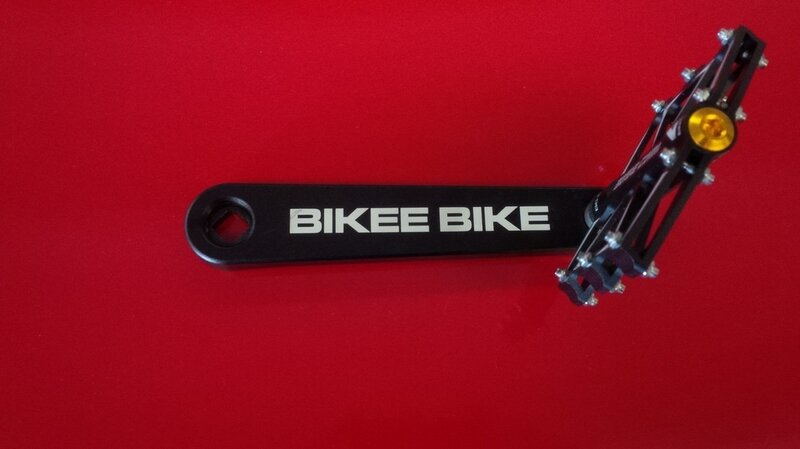 We finally got the sample of the ultimate half grip throttle. It's a one-piece throttle, very compact and stealthy. We plan to send the next update around March, the 20th. Appreciate your patience, we are working around the clock to bring you the finest product as quickly as possible. We'd also like to add that we are thinking how to sweeten your wait because you deserve all our gratitude for making this real.